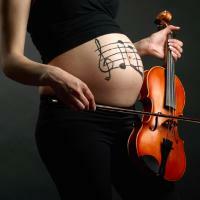 In the womb, brain development occurs at a startling pace. Seven weeks after conception the nervous system is sufficiently developed for the foetus to translate detection of gentle brushing of the nose and lips into a reflexive movement of its head away from the stimulus. Just ten weeks into gestation, i.e. towards the end of the first trimester, the first coordinated finger movements that constitute the grasp reflex are already kicking into action in response to stroking of the palm. At birth, all our different senses are somewhat intermingled, only differentiating out into distinct, separate senses through experience. 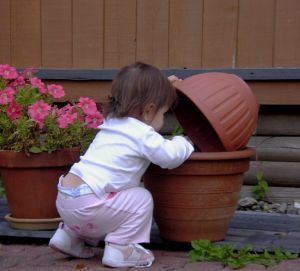 Infants learn to distinguish sights from sounds, smells, tastes and touch by interacting with the environment. Synaesthesia – where stimulation of one sense results in perceptions in another (e.g. coloured sound) – is thought to result from incomplete separation of the senses. Babies are not born with the ability to perceive the outside world as adults do. Right from birth a baby will pull different faces in response to salt, sour, bitter and salty tastes, yet most of the other senses are enormously underdeveloped. The senses must be honed interactively with the environment during early life. The more varied the experiences the more sophisticated their sensory perceptions will become, as will their ability to make sense of events encountered in the outside world, and ultimately the manner in which they engage with their environment. When a baby opens its eyes for the first time a critical period begins in which the neuronal wiring of the visual brain is gradually moulded to make sense of all that light. A newborn baby’s visual acuity is 1/30 that of an adult – it sees outlines but no detail. At 7 days old, babies show a preference for curved over straight lines, but cannot make out a face until the fourth week. Hearing, however, is a different matter. Sounds from the outside world can reach a baby’s ear whilst still in the womb allowing the auditory sense to be honed whilst still inside the womb. The theme tune to the Australian soap opera “Neighbours” was actually instrumental in revealing that babies can begin to hear and recognise specific sounds during the third trimester of pregnancy! An observant mother noticed that her foetus’s behaviour consistently changed as soon as the vocals kicked in every weekday. At 3 weeks of age, babies smile in response to the sound of their mother’s voice, whilst not until 6 weeks do they smile in response to the sight of a friendly human face. The skin is the human body’s largest organ. It contains many types of touch receptors, each cleverly designed to create various different sensations. Merkel cells, for instance, are sensitive to soft, delicate caresses. These are particularly abundant in the lips, tongue and fingertips, enabling extraction of texture, size and shape information. Two months after birth, infant brains see objects as targets to be looked at or reached for (they usually don’t successfully hit the target until 4 months), whilst they respond to humans socially – with smiles, vocalisation and, of critical importance, efforts to imitate their actions. In early infancy the visual brain is developed enough to define the edges of an object, providing the motor system with a target for the hand to reach for. 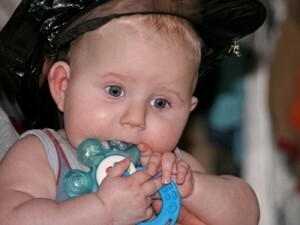 At 2 months an infant typically uses one hand to investigate the object, usually bringing it to the mouth. 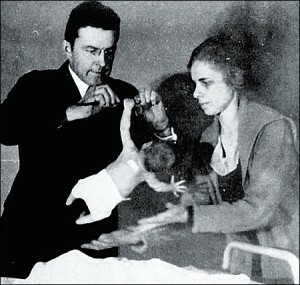 By 4 months the infant can use two hands, one to hold it and the other to extract shape and texture information. By the age of 6 months if the parent shakes an object, the infant will tend to shake it too. 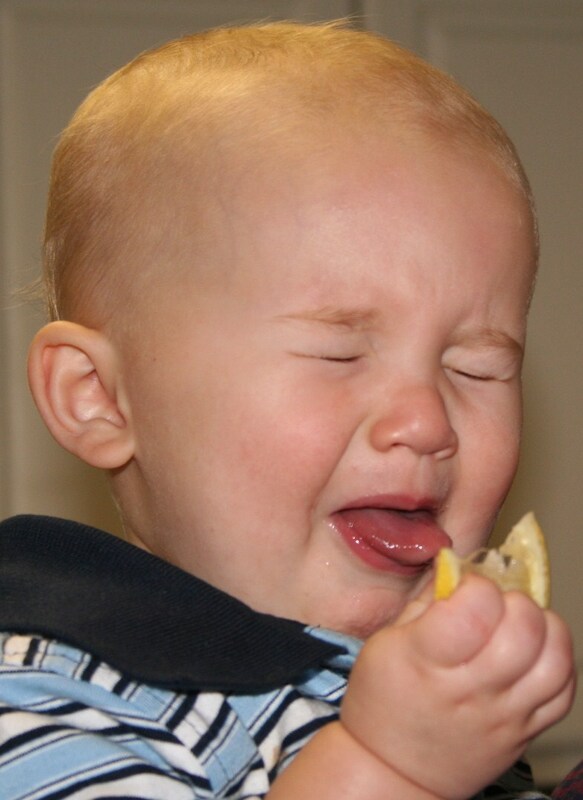 If the parent bangs an object on the table, the infant will tend to copy this. Thus even at this young age the example set by the parent or caregiver is vital for the successful acquisition of skills. Development of an infant’s senses accelerates when it has acquired the ability to crawl around and explore the world by touch. Various institutions provide parents with a place to go where their infants and children can engage with and explore a rich variety of stimuli in a safe environment. Most of us will have been taken to play school, crèche or just the playground as kids, overtly to keep us occupied and tire us out, but implicitly so that we could explore a range of exciting sensory stimulations and ultimately learn to use and develop our senses and ability to make sense of “how the world works”. Such offerings have become gradually more sophisticated up until the point where institutions like The Little Gym provide not only the setting, but also trained guidance to parents and children alike that bears in mind the developmental milestones that kids should pass through at different life stages. 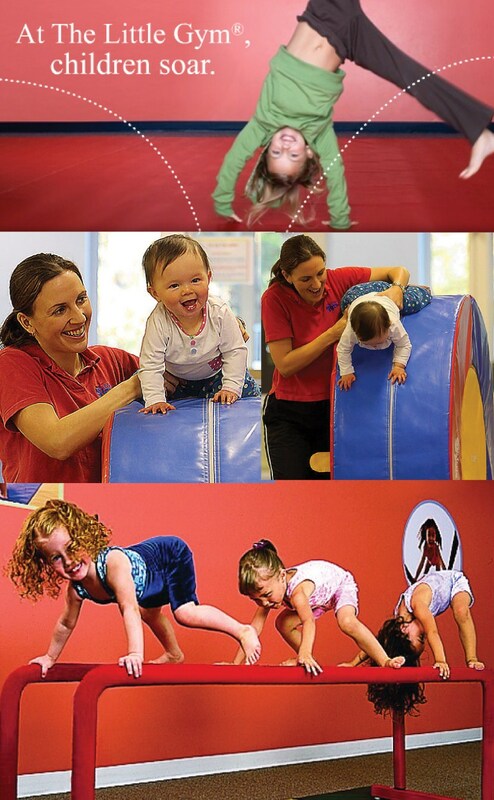 Activities at The Little Gym are constructed for each age group in light of current knowldege gleaned from advances in developmental neuroscience and conducted in a non-competitive manner to ensure that children’s confidence in using their bodies is incrementally boosted after every session. I’ve visited The Little Gym in Chiswick, London and was very impressed to see how much thought had gone into tailoring activities to match the specific developmental level of each age group. Apparently they have no trouble convincing parents of the benefits of The Little Gym approach once they have got them to attend a session. When new parents compare their own children’s movements and sensory awareness to kids who’ve been attending The Little Gym for even just a few months, the advantages of having trainers directing the “play” activities according to a sound knowledge of child developmental trajectories are often abundantly obvious. One reason it is really good for kids to hit their developmental milestones as soon as they are able is that it creates a “can do” attitude that fosters positive engagement with the environment that gives them self-belief. And if you can instil a real sense of self-belief in a child then this will really help to shepherd themselves through the intellectual, social and emotional turmoil that they will almost inevitably encounter during adolescence.